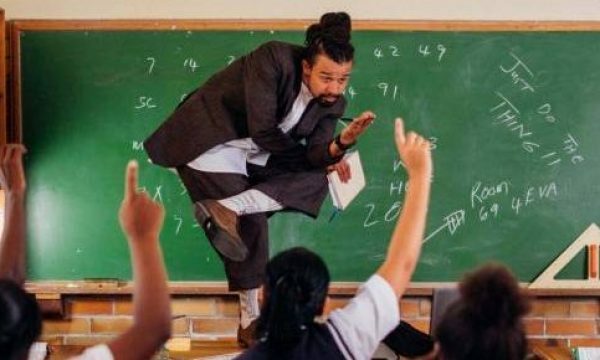 (Cape Town) – One of the youngest doctoral graduates from the Cape Peninsula University of Technology is expected to report for the first day of his new internship at the City of Cape Town on Thursday after months of searching for employment. 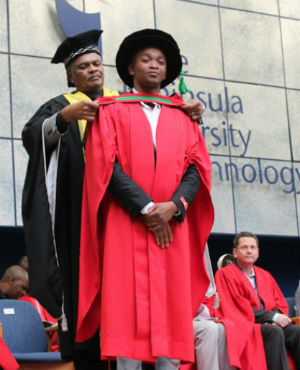 Dr Lukhanyo Mekuto at his graduation ceremony: News24. Lukhanyo Mekuto, 28, who on Friday, September 15, graduated as a Doctor of Engineering: Chemical from the institution, finally landed the internship when mayor Patricia De Lille offered him a position, saying his “expertise in engineering and micro-organism will be indispensable to the City of Cape Town’s efforts to achieving water resilience”. Mekuto told News24 that he had woken up despondent in his home in Brown’s Farm, Philippi on Wednesday morning. As one of the first in his family to get a postgraduate and undergraduate degree, he had been applying for jobs since February. “I have applied for about 25 vacancies in my field. I only ever heard back from one of them,” he said. De Lille read about the young man’s story and Mekuto was contacted by the mayor’s office for a meeting at 12:00. “It was overwhelming, kind of like meeting the president. But we had a friendly chat and I didn’t feel intimidated. She allowed me to voice my opinion about things,” he said hours after stepping into her office. He later walked out with the internship and the offer to start the next day. 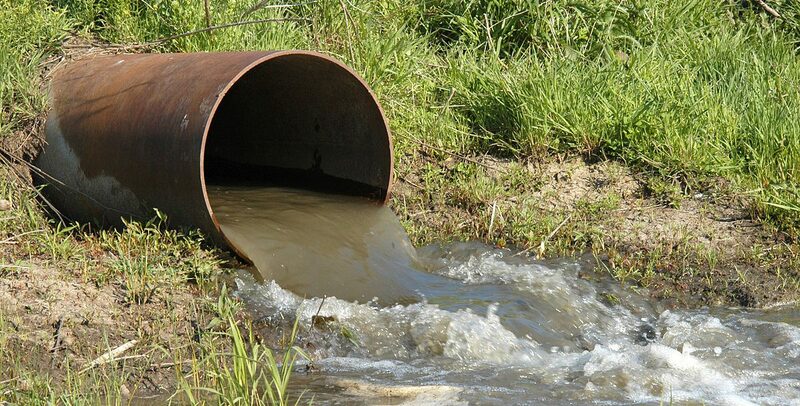 De Lille’s spokesperson Zara Nicholson said the mayor offered Mekuto an internship in the Water Resilience Task Team where he could advise on wastewater treatment. Nicholson said when vacancies open up in the city, he could then decide for which job he would like to apply. For his PhD, Mekuto researched the biological treatment of industrial wastewater generated by gold mines, which drew his attention after he had read about cattle deaths in KwaZulu-Natal due to cyanide poisoning in 2012. The cyanide came from their water, which was contaminated by mining activities in the area. To read the full article, visit News24.